According to a report by Bloomberg, the S3 patents, held by the Fremont, California image compression technology firm, have been acquired by Taiwanese smartphone maker HTC for $300 million in an effort to defend that company's Android-based smartphones from iPhone patents leveraged by Apple. ITC judge James Gildea's ruling reduced the scope of the two S3 patents found to be valid and infringed upon by Mac OS X, and further noted that Macs using Nvidia graphics chips have an implied license to use the patents, limiting Apple's potential liability. If the ruling is upheld by the ITC's six member committee, it could result in the US import of affected Macs being banned. However, the ITC's finding that Apple's iPhone, iPod touch and iPad are not infringing S3's patents greatly reduces the bargaining power HTC hoped to use in getting Apple to drop its own ITC patent complaints related to smartphones. The ITC had separately ruled that HTC's Android phones infringed two Apple patents, which could lead to an import ban of HTC phones if similarly upheld by committee. 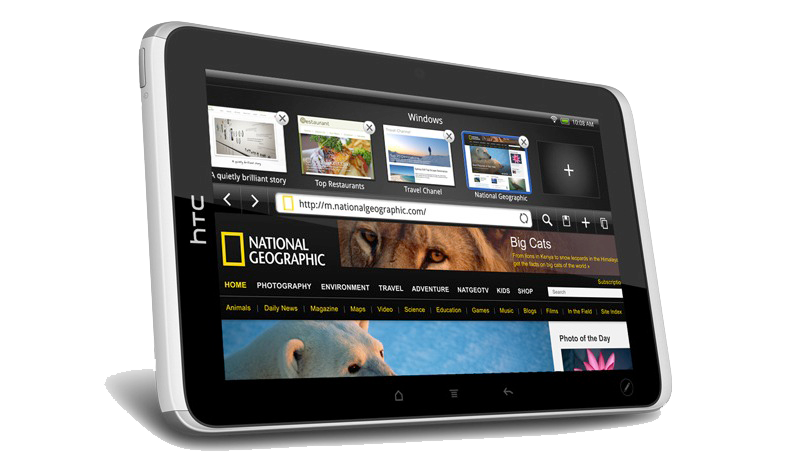 The report noted that Apple has filed a separate complaint with the ITC involving HTC's Flyer tablet (shown below) in addition to its Android smartphones. A report on the specific patent claims HTC has been found guilty of violating suggests that the infringing technologies are part of the Android architecture, rather than unique enhancements made by HTC. As such, competing Android vendors such as Motorola and Samsung may also be at risk. HTC and Apple continue to negotiate a settlement to the issues, with HTC's chief financial officer Winston Yung being cited in the report as describing the talks as "on and off." Earlier, Yung has reportedly said the two companies "have have to sit down and figure it out," adding, "we're open to having discussions." At the same time, HTC's general counsel Grace Lei recently complained to the press that "HTC is disappointed at Apple's constant attempts at litigations instead of competing fairly in the market," adding that "HTC strongly denies all infringement claims by Apple in the past and present and reiterates our determination and commitment to protect our intellectual property rights." Last week, analyst Mike Abramsky with RBC Capital Markets stated that Apple is likely to demand a high royalty for Android devices, potentially asking for as much as or more than Microsoft already collects from HTC's Android devices. A series of such royalty fees hitting Android makers could result in making the ostensibly free software more expensive in the long run than custom development. A variety of Android licensees, ranging from Samsung to Motorola, already have or are rumored to be developing their own software independently from Android to hedge such an outcome. Two of Android's fastest growing licensees in China, Huawei and ZTE, have reportedly begun evaluating the use of Microsoft's Windows Phone 7, suggesting that at least some makers see Microsoft's product as safer than Android. HTC could also see its Android business cannibalized by smaller firms hoping to fly under the radar, and unnoticed by Apple's legal efforts to protect its intellectual property.